Within a single signed leather-bound book, Exile publishes in full the exceptional photographs of French rock photographer Dominique Tarlé taken during his stay with Keith Richards and Anita Pallenberg at Villa Nellcôte during the summer of 1971. This beautiful collection of images ranks amongst the finest and most revealing ever taken of The Rolling Stones or of any rock band. Remarkably, as a body of work the photography remained unpublished for over thirty years. 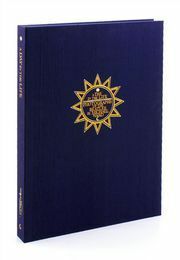 Quarter bound in leather with gilt page edges and inlaid label on the front cover. 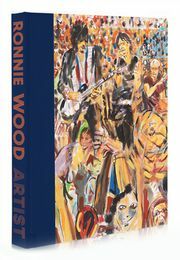 A full colour photo-montage slipcase. Visually stunning and an exhaustive study, Exile provides fascinating viewing and compelling reading in 248 pages containing 280 finely reproduced photographs, and 90,000 words by key contributors. It will surely be regarded as the final word on the creation of one of the greatest rock albums of all time - Exile On Main St. Fully bound in brown leather with gilt page edges and blocked text on the front cover. 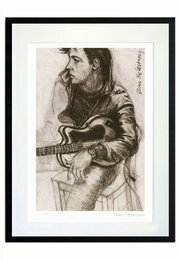 A numbered print of Keith Richards signed by Dominique Tarlé.